Personnellement le homard gonflable ne me sied que très peu. Mais je dois bien avouer que j’aime assez avoir champs libres sur roues. 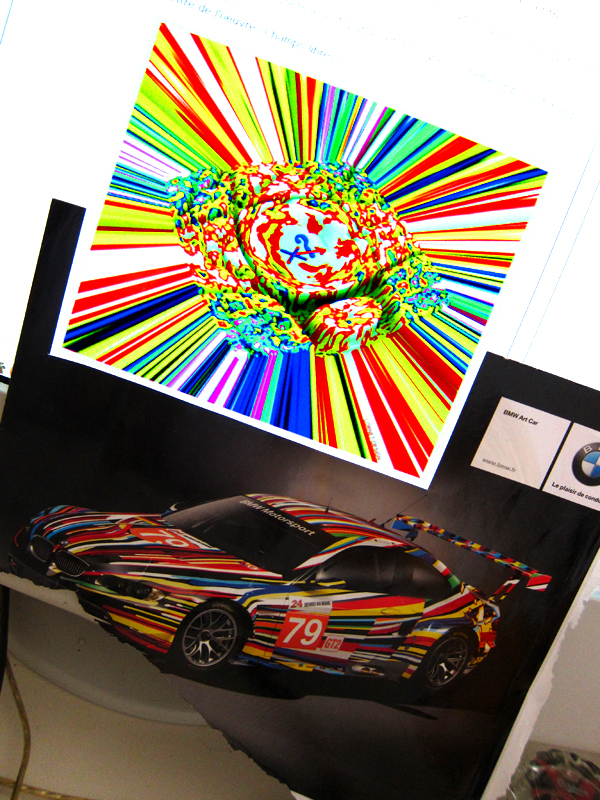 Illustration : “champs libres” par Lornet-Design et BMW art car 2010 par Jeff Koons. This entry was posted on vendredi, octobre 8th, 2010 at 3:01 and is filed under art stuff, Artwork, Design. You can follow any responses to this entry through the RSS 2.0 feed. You can leave a response, or trackback from your own site.